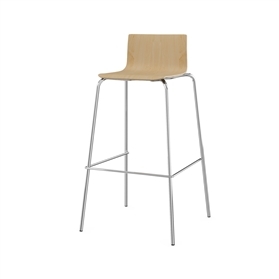 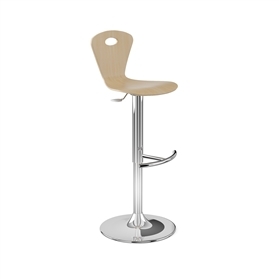 THE EVENT COLLECTION IS A COMPREHENSIVE RANGE OF BISTRO SEATING. 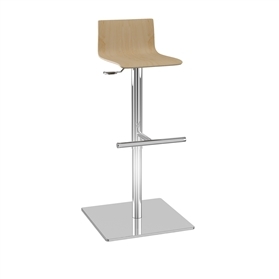 THIS COMPRISES OF A CHOICE OF THREE INDIVIDUALLY SHAPED 4 LEGGED CHAIRS WITH A TUBULAR CHROME FRAME AND A SELECTION OF BISTRO STOOL. 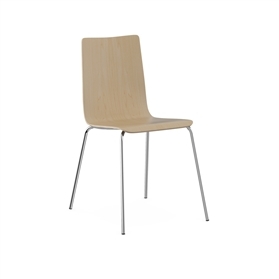 The range can be specified in a choice of wood finishes that include beech, zebrano, white or ebano.